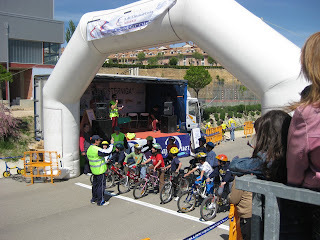 TODOS LOS CHICOS Y CHICAS DE 7 A 14 AÑOS QUE DESEEN APUNTARSE A NUESTRA ESCUELA DE CICLISMO PARA LA TEMPORADA 2010 YA PUEDEN HACERLO. TAMBIEN PUEDEN LLAMAR AL 653815697 O LOS DOMINGOS A LAS 10 DE LA MAÑANA EN LA SEDE DEL CLUB PLAZA DE LA CRUZ Nº6 (LA CISTERNIGA) VALLADOLID. QUE DESEEN DESDE LOS 15 AÑOS EN ADELANTE PARA DISFRUTAR DE LA BICI CON SALIDAS A RUTAS CERCANAS Y APOLLAR A LA ESCUELA.